Invoking neither a deity nor a God, but the cosmic bodies and the human body with divine within. Kuldeep brings his vision on the dance form of Odissi – celebrating complexity of life, its nature and the abundance in this recital of choreographies and a short film. Passed from countless generations of gurus to disciples and travelled through centuries, yet remaining profound and contemporary – the ever flowing river of Odissi transfers its course to each generation. So Many Journeys is this distributary which takes to a world of wonderment, search and silence. Situated in the the world of contemporary art, Kuldeep brings his transference of Odissi which he studied intensively for years with critically acclaimed dancer and choreographer Madhavi Mudgal, in New Delhi.He keeps returning back to the art of Odissi, for its compound expression in movement, story telling, sculpture and architecture – with its ever freshness and grounding experience that a human life craves for. Kuldeep Singh is a multi-disciplinary artist with a hybrid artistic practice, comprising a system of non-linear narratives in visual art and performance. Through inventing situations in theatrical installations and hybrid myths, he surveys hiatuses in post-colonial histories. 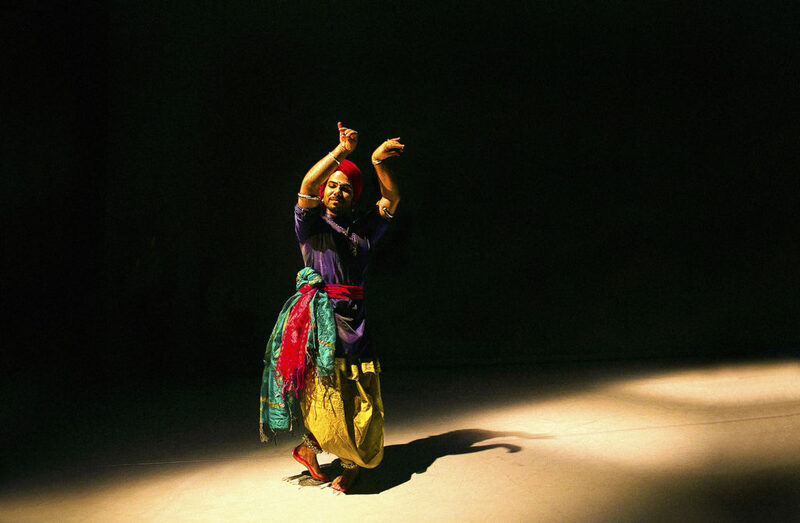 With his intensive, decade long training in the Indian classical dance form of Odissi (with critically acclaimed dancer Madhavi Mudgal, in New Delhi) he deconstructs components in movement and acting, sound/percussion mnemonics and spatial arrangements – all as re-arranged fragments in layers, engaging in body politics and social anthropology. The content transpires from eclectic stories across timelines, classic Sanskrit texts, and is layered to contemporary human situations – re emphasizing contemporary relevances. Kuldeep is the recipient of some of the prestigious art residencies including: the Skowhegan School of Painting and Sculpture, ME (2014), Yaddo, NY (2015) and Bemis Center for Contemporary Art, NE (2016); and has recently been artist in residence at Residency Unlimited, Brooklyn (2018) and at HH Art Spaces, Goa (2018) – on an award from Inlaks Foundation, Mumbai. He recently has been awarded the highly competitive New York Foundation for the Arts Fellowship (2018), in interdisciplinary arts category. Kuldeep holds the National Freedom of Expression Award, Mumbai (2009, Infinity Films). His selected solo performances include at the Kolkata International Performance Festival (2014), Yaddo (2015) and Rapid Pulse International Performance Festival in Chicago (2016), La Mama Theater, NYC (2016), and most recently at Asia Society, NYC (2018) to name a few. His selected lectures & demonstrations include at the Kiran Nadar Museum of Art – New Delhi, Queens Museum – NYC, Delhi University, University College London, University of Iowa, University of Nebraska-Omaha and Hunter College, NYC.